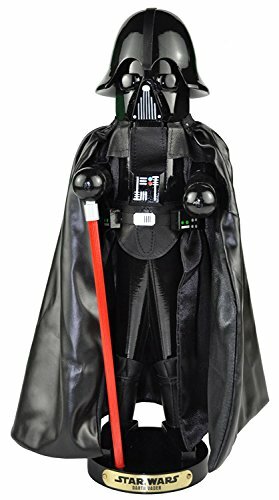 Kurt Adler's 18.5-Inch Steinbach Darth Vader Nutcracker piece features the famous villain's signature black armor and cape. He is holding his red light saber as well. This item is sure to be a standout piece in any nutcracker collection or Star Wars collection. Like all Steinbach creations, Darth Vader is crafted in Germany with the finest care and attention to detail.